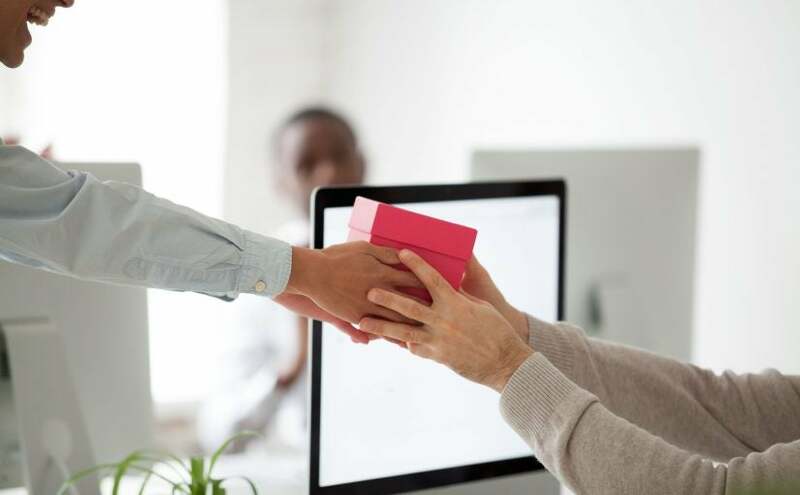 In today’s fast-paced, technology at your fingertips world, the person to person interaction is often lost, but should not be forgotten, especially when you’re looking to send business gifts. You can often find what you’re looking for through web searches, but it is still worth the 90 seconds it takes to call the corporate sales team and get set up with an account representative. Your account representative can help in a number of ways, from saving money and time, to adding custom touches to your gifts. The goal at GourmetGiftBaskets.com is to provide the best possible customer service experience, with the customer (you) in mind. If that means sending your account representative an email with your list of recipients so they can set everything up while you focus on your daily tasks at work, we’ll free up your hands to get the job done. If you prefer to order online, we’ll set you up with a company discount code so you and your colleagues can take advantage of savings on all your orders. Not finding what you’re looking for? We’re here for you; give us a call or shoot us an email. Let us know what you’re looking for, and we are here to help! We will help suggest popular corporate gift baskets out of our thousand-plus item catalog. If none of our ready-to-ship gifts tickle your fancy, we’ll customize the perfect gift for your VIP customers and clients. We also offer options for specialized branding to give your gifts a custom touch to keep your company logo and brand top-of-mind for prospective customers and longstanding clients. We can also print your company logo on our greeting cards (free of charge!) or get creative by including branded items to go along with the theme of your gift. Your corporate sales representative will help you think ahead! Shipping costs can add up quickly when you need to use expedited services. If you order a week ahead of your desired delivery date, you should be able to hit all locations in the US without having to worry about increasing delivery charges. These are just some of the benefits of having a personal contact at GourmetGiftBaskets.com. So take a minute to call us, and save yourself hours in the future, as we help you wow your clients with high-end business gifts that are customized to your business and their taste.